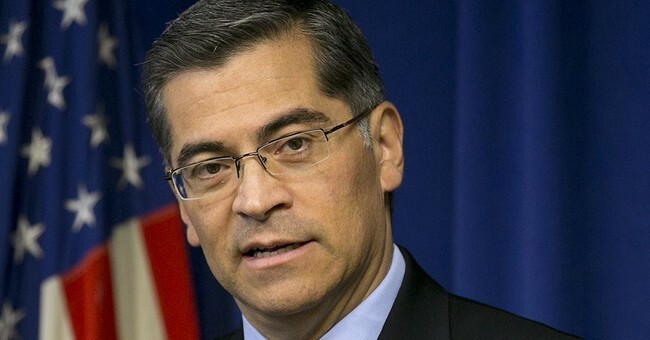 California Attorney General Xavier Becerra (D), a Democrat and son of Mexican immigrants, is contemplating whether or not to bring legal action against the Trump administration for various immigration-related policies. Specifically, Becerra wants to sue the administration over using tear gas against the Central American caravan riders who rushed the border; the potential for a border shutdown; and separating illegal alien children from their parents. The reason Becerra is merely "contemplating" at this point? California does not have jurisdiction over the southern border. Immigration policies and what occurs at the border are federal powers, not state powers. Becerra even admitted that the only way California can insert itself into the discussion is if residents are impacted. “I can’t act unless the rules are on our side,” he said. As Attorney General, Becerra has spoke out against Trump's policies and filed numerous lawsuits against the Trump administration. Specifically, California has lead the charge against the president's hard-line immigration policies. We’re leading 18 Attorneys General opposing @RealDonaldTrump’s proposal to roll back protections for children held in immigrant detention facilities. What will Becerra's next lawsuit against the Trump administration be?